flagamuffin · 1910 days ago · link · · parent · post: Hubski, got a favorite map? A moment ago it occurred to me what my actual answer was. The only map I've ever recreated. Here's the west coast of Middle-earth, Beleriand, before the Valar sunk it at the end of the Second Era and the new west coast became Eriador. The mountains labelled Ered Luin at the very right are the same mountains on the very left of your map, also labelled Ered Luin. Believe me, very aware. 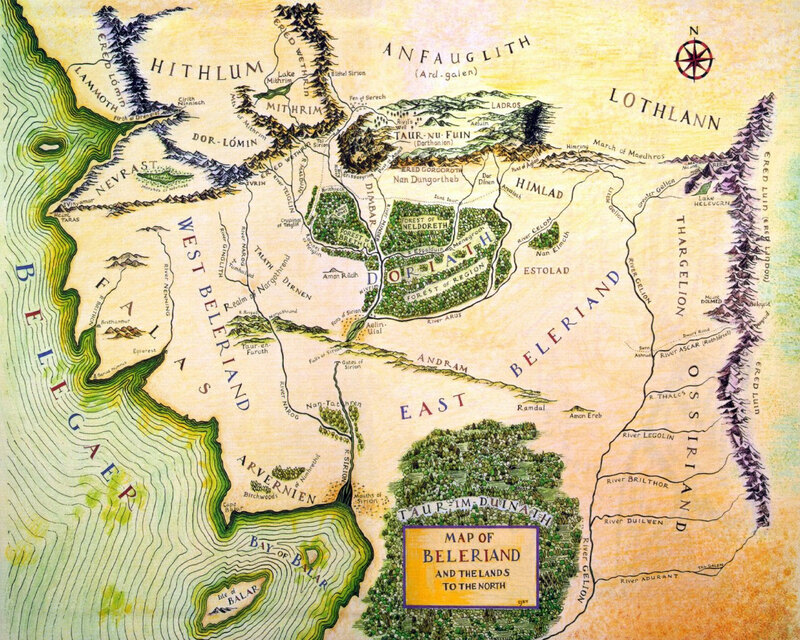 I would've linked Beleriand instead of Eriador/eastlands but most people wouldn't know what they were looking at. Never seen that combo map though, where'd you get it? It was from the LOTR wiki Beleriand article; I believe it is a fan-made combination of the maps from the beginning of LOTR and The Silmarillion. 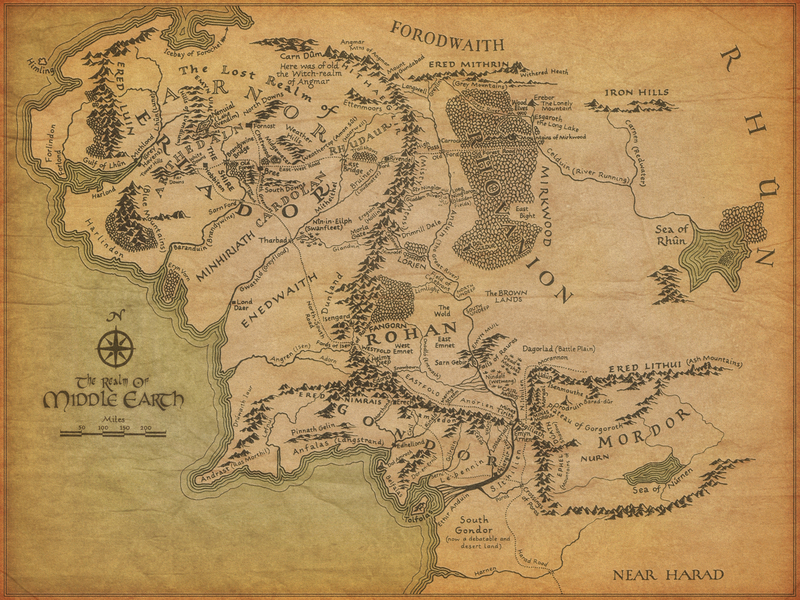 Tolkien never made many maps of his world, especially not outside of Beleriand and LOTR-era western Middle-earth, so most maps you'll see on the internet are fan-made.